Search for condos for sale in Manasquan. The condos for sale in Manasquan are not traditional complexes. Instead, there are a few buildings with condos, and there are only a few condos in each. In 2008 New Jersey magazine ranked Manasquan as it’s 22nd “Best Places to Live in New Jersey. Obviously, a large part of the reason for that is the beach on the Atlantic Ocean. As with many Jersey Shore towns, the population swells during the summer months. 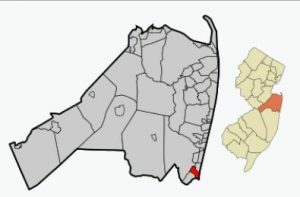 Manasquan is a small town in southern Monmouth County. It has 2.5 square miles. Surfers find this to be a very popular area because of the waves. 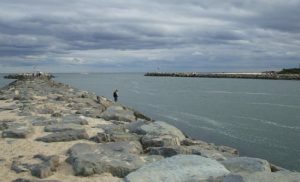 This is due to the jetty protruding into the Atlantic Ocean at the Manasquan inlet, therefore the jetty enlarges the waves. There are marinas along the Manasquan River which offer access to the Atlantic Ocean. Also, you’ll find more of those marinas are in nearby Belmar. The Manasquan Public Schools offer education to students living in Manasquan condos in grades kindergarten through twelve. Manasquzn has one school for Kindergarten through eighth grad. And when a student enters high school, across the street is Manasquan High School. Manasquan High School also accepts student from other small, nearby towns. Additionally, high school students may elect to attend one of the seven magnet schools in the Monmouth County Vocational School District. Additionally, many other private schools are in the area. Major reads servicing Manasquan include Route 35 to go north or south, and Route 195 to head west. Route 195 intersects the Garden State Parkway at exit 98, also Routes 18 and 34. Commuters love the fact that train service to New York is available because of the Manasquan train station.